These articles, submitted by our members, reflect the passion we have for certain topical areas of interest. 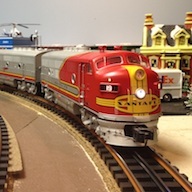 Thanks to the expertise and knowledge obtained from years of collecting, dedication and research into their favourite toy trains, CTTA is proud to publish these fine articles. Enjoy! Got something to share ? Please do. Or, What happened to the other half ? 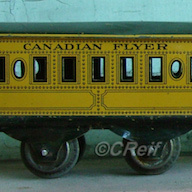 Some of the beautiful lithographed tinplate American Flyer trains made in the early 1900’s seemed to be doing double duty, and were produced with lettering and decorations for two different roads on the same car. 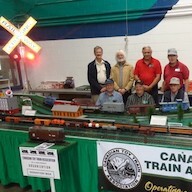 Factory production errors made for some unique tinplate trains. 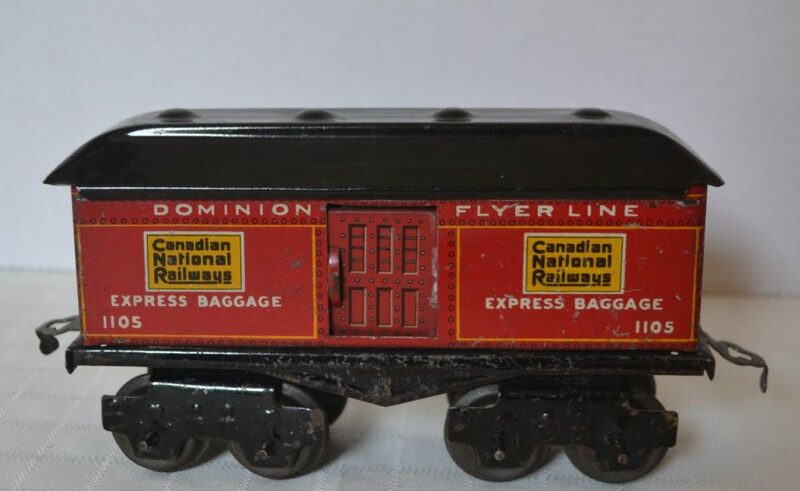 A look at the evolution of the first toy trains made for Canada and Canadian Railroads by the various manufacturers, including American Flyer, Bing and Ives. 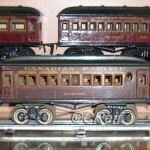 Learn about the earliest appearances of Canadian railroads on the toy train products from manufacturers in Europe and the United States. 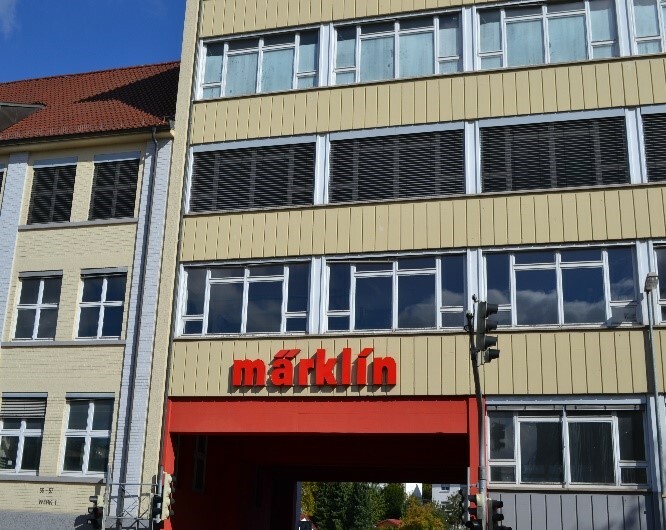 Member Frank and his wife Anne were fortunate enough to enjoy a personal tour of the Märklin factory in Goppingen, Germany while on their vacation in 2016. Come on along! Is it ‘Pre-war’ or ‘Post-war’? An interesting tinplate accessory provides a unique perspective. 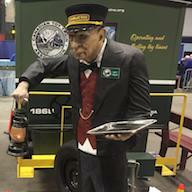 What were some the criteria used to define what toy trains were ‘Pre-war’ or ‘Post-war’ ? 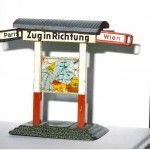 This interesting story of a European tinplate accessory reflects the realities of how World War 2 affected the production of toys at the time. 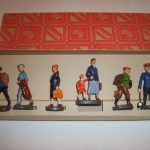 A look at the various sets, figures, production, painting and variations produced by Marklin in Germany during the 1930’s. 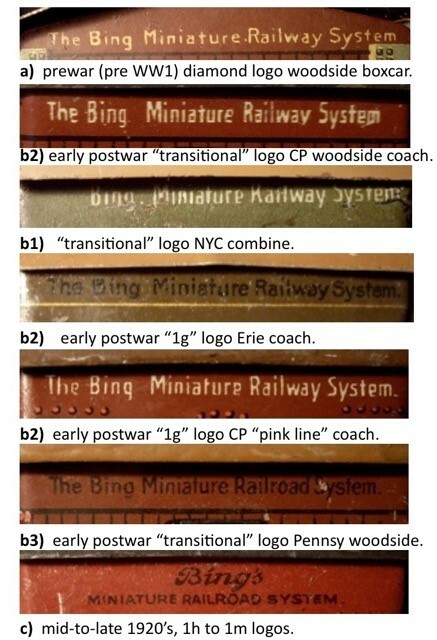 Sequencing BING trademarks typically found on the bottom of passenger and freight cars, and how they may be used in conjunction with lithographic details on the car bodies to suggest a sequence of production. An interesting handwritten inscription on the inside of an American Flyer 1913-1915 era boxed set raises the possibility that a piece of toy train history may need to be re-written. Or does it ?